Home / Disney A to Z / F / Fantasmic! Fantasmic! Evening water show presented on the south end of Tom Sawyer Island at Disneyland, beginning May 13, 1992. Mickey Mouse appears and uses his magical powers to bring beloved characters to life in his imagination—until such classic Disney villains as Ursula and Maleficent threaten Mickey’s fantasy world. To prepare for Fantasmic! the Rivers of America had to be drained to enable the installation of various mechanisms, and the mill and part of the south end of Tom Sawyer Island were removed so the rustic stage setting for the show could be built. (The mill was rebuilt in a new location.) Utilizing projections of film clips on three giant screens of mist, music, the Mark Twain and the Columbia, various rafts, mechanical figures, fire effects, and 50 Disneyland cast members in costume, the elaborate show was immediately more popular than had been expected. The audience, which has to line the shores of the Rivers of America, created initial major traffic jams on that side of Disneyland each evening. Guests would often stake out their places hours ahead of the show. To help solve some of the problems, the shore area was terraced to give more guests an unimpeded view. A new version of Fantasmic! opened in a new Hollywood Hills amphitheater at Disney-MGM Studios at Walt Disney World on October 15, 1998. 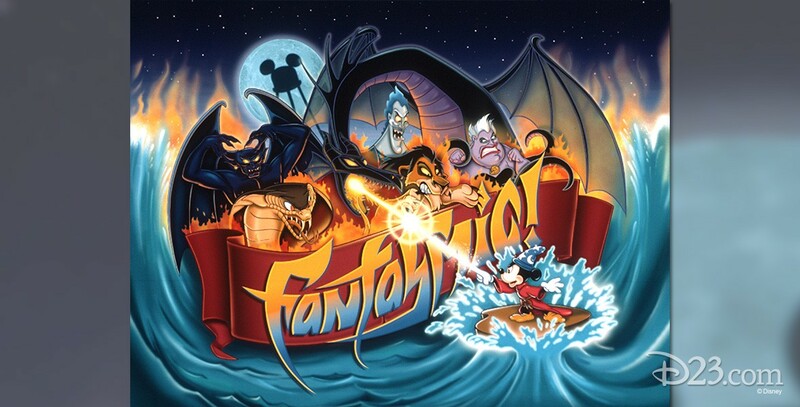 Fantasmic at Disneyland was updated in 2009 with the addition of Flotsam and Jetsam, a new Captain Hook’s Crocodile, and a new fire-breathing dragon.